Death She died in 1996 at age ~78. Death He died on 5 February 1996 at age 89. 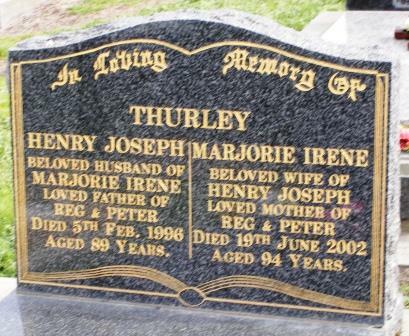 Marriage Jim Moses and Evelyn Elizabeth Helen (Elvie) Thurley were married on 26 December 1922 in Launceston, Tasmania, AustraliaBG. Death He died on 27 February 1995. 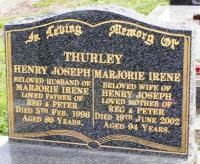 Birth Reginald Thurley was born on 20 September 1927. Birth Peter Edward Thurley was born on 20 March 1930. Birth Robert Grant Thurley was born on 18 December 1954.